Welcome to the first module of our 8 part course. All parts are designed as a combination of illustrated theory and practical hands-on so you can grasp the topics taught practically through both online and field assignments. If you haven't done already, ensure to Register First. 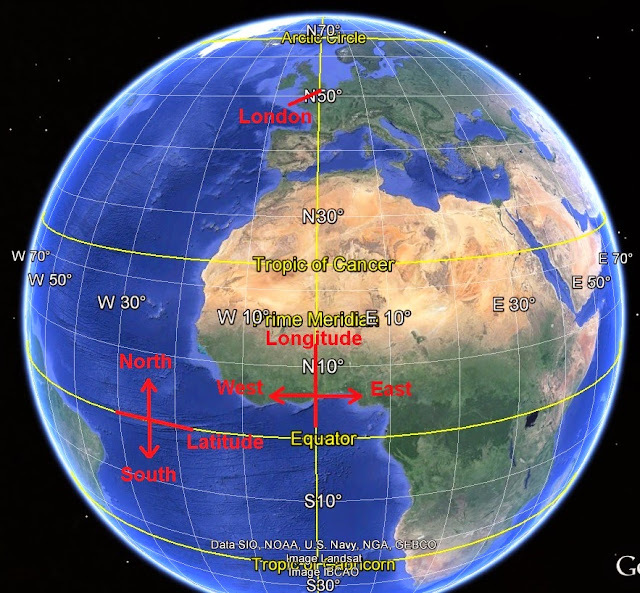 The "zero" longitude or "Greenwich Meridian" is the vertical circle which runs through London. Zoom in until you can see the stadium: it's a white circle right off Marina. 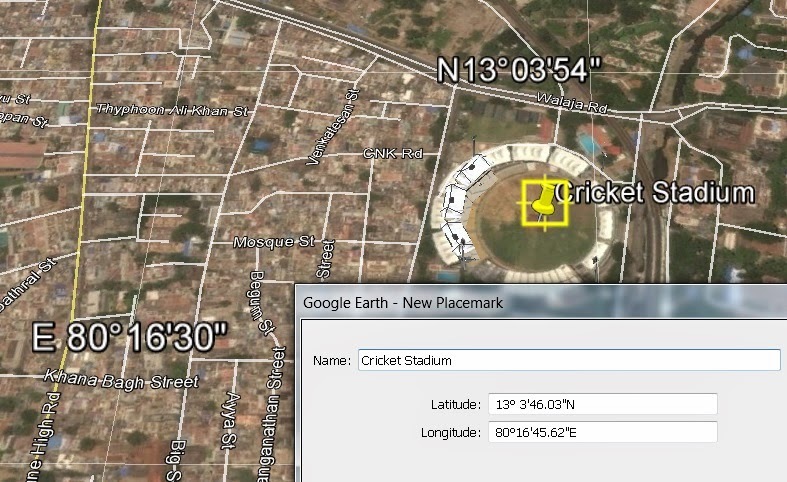 Question 1 - what's the location (longitude, latitude) of the "TIDEL Park"
Question 2 - what's the location (longitude, latitude) of the "Central Leather Research Institute"
Question 3 - what's the difference (distance) in longitude (East-West) between both locations in seconds? Question 4 - what's the corresponding approx. 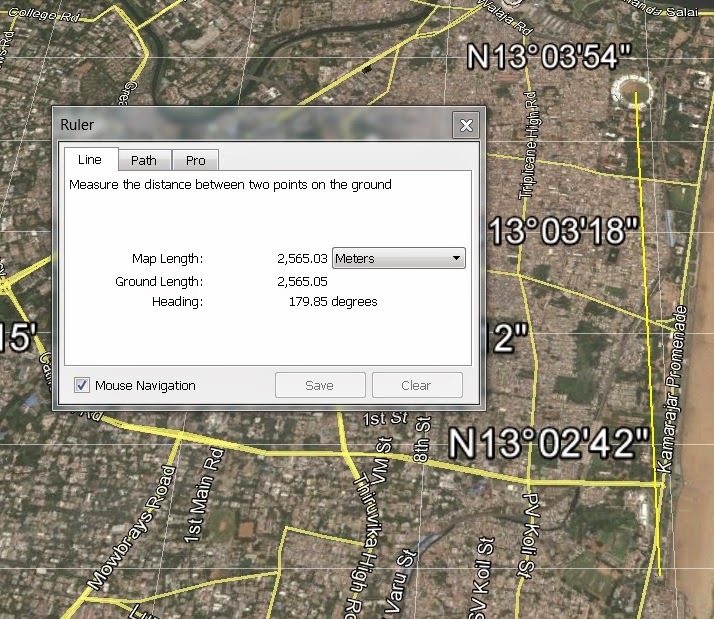 longitudinal distance in meters? 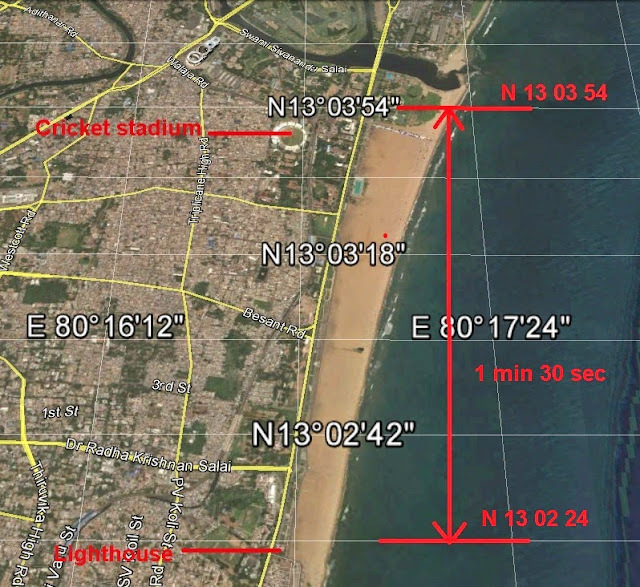 Question 5 - what's the difference (distance) in latitude (North-South) between both locations in seconds? Question 6 - what's the corresponding approx. 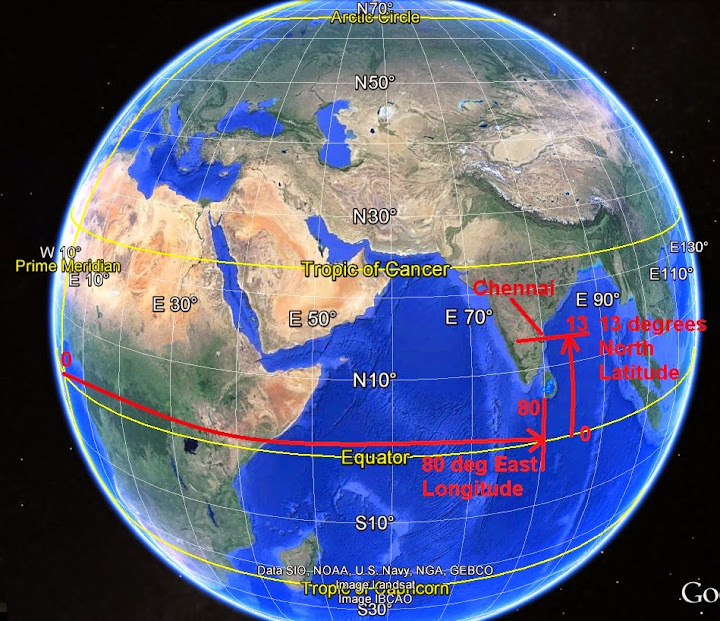 latitudinal distance in meters? Question 7 - what's the direct line distance between both location in meters? 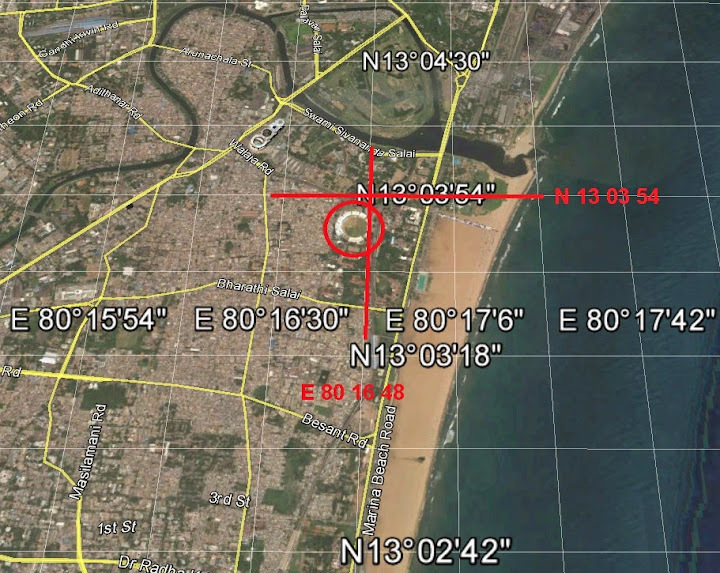 Question 8 - what's the longitudinal distance between TIDEL Park and the sea? Question 9 - what's the location (lon, lat) of this intersection with the sea?